BabyOrganix's Member can earn 335 Points! We all know how important it is to keep your baby’s sensitive skin feeling smooth and healthy. That’s why BabyOrganix developed their Vitamin Baby Lotion. 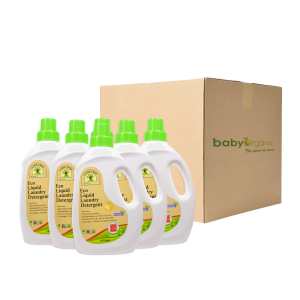 This baby body lotion contains natural ingredients such as Shea Butter which locks in moisture as well as nourishing natural ingredients such as sunflower seed oil and olive oils which help to sooth your baby’s skin and aloe vera and alpha-glucan oligosaccharide to protect and heal dryness and rash. Simply massage the baby lotion all over your baby’s body as often as needed. A daily treat for your baby’s precious skin! This lotion is made up of natural emollients like shea butter to lock in moisture plus soothing sunflower and olive oils. Aloe vera and alpha-glucan oligonucleotide protects and heal dryness and rash. Vitamin B5 and Vitamin E promotes healthy, baby-soft skin! Nourishes, Moisturizes and Protects with Cocoa Butter, Vitamin E and Probiotics. 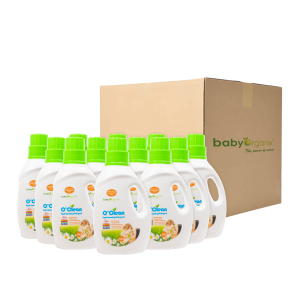 This product is People Friendly, Earth Friendly and 100% Natural. Water, Cetearyl Alcohol, Isononyl Isononanoate, Cetearyl Olivate, Cetyl Ester, Sorbitan Olivate, Olea Europaea (Olive) Husk Oil, Theobroma Cacao (Cocoa) Seed Butter, Helianthus Annuus (Sunflower) Seed Oil, Inulin, Microcrystalline Wax, Alpha-glucan Oligosaccharide, Aloe Barbadensis Leaf, Olus (or) Vegetable Oil, Lavandula Angustifolia (Lavender) Oil, Butyrospermum Parkii (Shea) Butter, Pannthenol, Saccharide Isomerate, Tetrasodium EDTA, Allantoin, Tocopheryl Acetate, Lactic Acid, Sodium Benzoate, Potassium Sorbate.